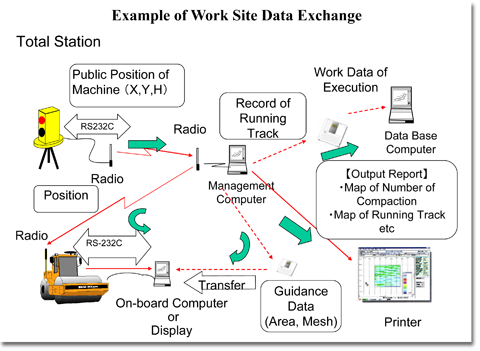 ISO 15143 “Earth-moving machinery and mobile road construction machinery — Worksite data exchange” (Part 1 and Part 2) specify system architecture and a data dictionary for the exchange of data related to the use of earth-moving machinery (See ISO 6165) and mobile road construction machinery (See ISO 22242). 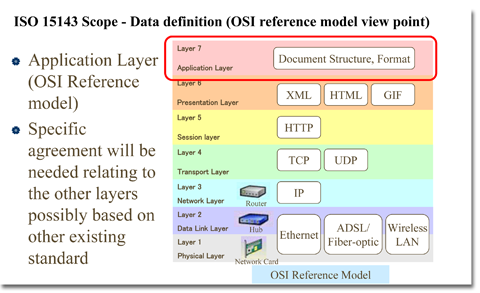 At the date of Part 2 publication, ISO 15143 data dictionary do not cover entire range of worksite data exchange, therefore, people who would like to make data exchange based on ISO 15143 may want certain new data to be added to the data dictionary. 1) See and understand “ISO 15143 extension procedure”. He or she is needed understand ISO 15143 Part 1 and Part 2 being published by ISO (International Organization for Standardization). ISO standards can be bought from an ISO national member body in his or her country, or from ISO site. 2) Download the format (Excel tables, one is for data items and another is for value domains) for the addition. 3) Prepare “additional” table(s) for new data items (maybe new value domains also) using the format based on ISO 15143. 4) Send the prepared files to Secretary of the MA (MA: Maintenance Agency). 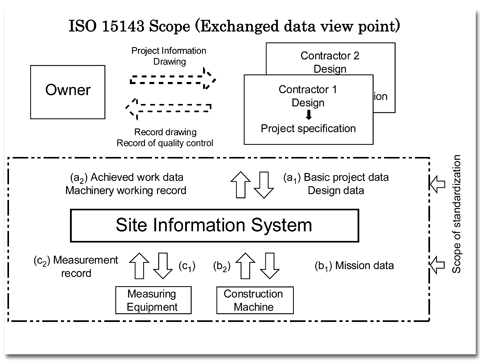 JCMA (Japan Construction Mechanization Association), on behalf of JISC (Japanese Industrial Standardization Committee) will function as ISO 15143 MA after being approved by ISO/TMB (Technical Management Board). 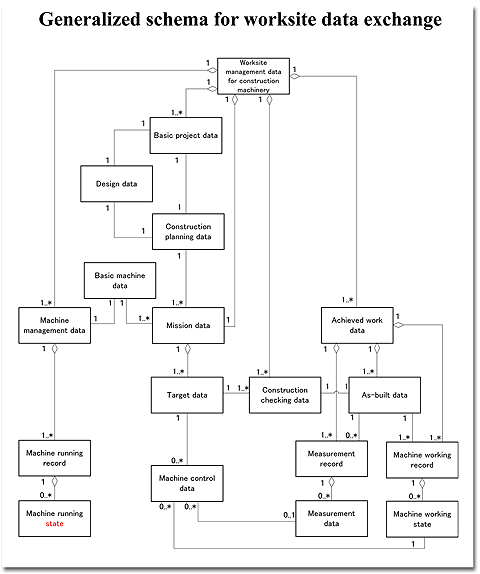 5) Then Secretary of the MA will check the sent files with the consultation of ISO/TC 127/SC 3/WG 5 and if appropriate, will tentatively publish (under ISO rule) the additions till ISO 15143 will be revised through ISO normal steps procedures (NWIP (New Work Item Proposal), WD (Working draft), CD (Committee Draft), DIS (Draft International Standard) then FDIS (Final Draft International Standard).